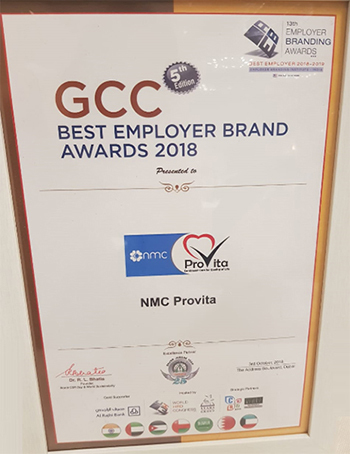 NMC ProVita is pleased to announce that we received the prestigious GCC Best Employer Brand Award for the post-acute healthcare industry as part of the 13th Employer Branding Awards hosted by World HRD Congress on October 3rd, 2018 at the Address Boulevard, Dubai. The judges recognized that NMC ProVita translates vision into purposeful action, and that we use marketing communications effectively to attract, retain, and develop talent. 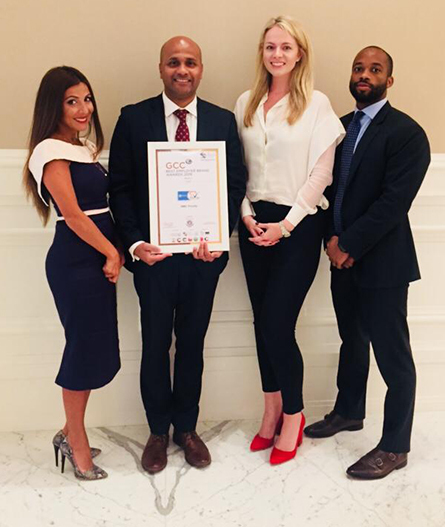 NMC ProVita was selected based on its growth in the last two years, its global presence, its HR strategy, its diversified culture, and for providing equal opportunities to female leaders. This award is a testament to the efforts from those in leadership to those at the bedside and is a reminder of the emphasis we as an organization place on taking care of our team who in turn take care of our patients and families. We are reminded of NMC’s overarching philosophy that every patient matters and every employee counts. Thank you again and let’s keep up the great work!